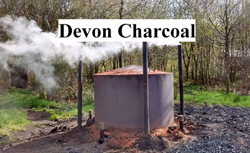 Barbara is on the list of charcoal makers from Devon and elsewhere at Devon Charcoal. When Billy and Tyler are not working they spend most of their time at Broome Retreat, the Original Glamping Experience. Carnog Working Horses bought heavy duty harrows from Paul Helps Chain Harrows who also supplies paddock equipment. a free service for woodland owners, forestry businesses and wood users. chainsaw, lifting tongs and safety clothing. The August 2010 Issue of the Wye Valley Life contained an article 'One woman and her horse' about Barbara and her life by Henni Tremlett. Click on the logo to open the August 2010 Issue. who also sell carts, wagons and harnesses. when her horses are working hard and in winter. CAT offer solutions to the serious challenges facing our planet and the human race - climate change, pollution and the waste of precious resources.